Start taking classes at Hwa Rang Kwan Martial Arts Center and other studios! 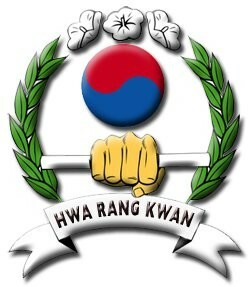 Hwa Rang Kwan is a long-established and very friendly martial arts school in SoMa offering Kickboxing classes for beginners and more experienced students, as well as Boot Camp and Core Thirty high-intensity interval training fitness and conditioning classes. First-time Kickboxers should attend the Beginners' Kickboxing classes, which focus on teaching basic techniques. Hwa Rang Kwan has been in operation in San Francisco since 1965, and in 2017 the school had the honor of being added to San Francisco's Legacy Business Registry. The owner, Master Steve, has been with the school since 1992, and has been teaching martial arts here since 1995. First time students MUST arrive 15 MINUTES EARLY in order to fill out a form, sign a waiver, and if necessary get help with their hand wraps. No late users will be admitted to class. In order to participate, all Kickboxers need to have hand wraps and 12oz boxing gloves. If you do not have your own, we will provide hand wraps for $11.00 + tax, and rent gloves for $1.00. No equipment is required for Boot Camp or Core Thirty classes. Hwa Rang Kwan is located at 90 Welsh Street, which is an alley off 4th between Bryant and Brannan. The class is fun and good for beginners. I had a great intro class. Make sure to show up early to learn to wrap your hands. It’s not easy for beginners. Short and sweet! Half an hour of nonstop movement. Cardio warmup (jump rope, lunges, kicks, etc) followed by abs (planks, push-ups, crunches, etc). The gym is really nice and the staff is friendly as well, however the kickboxing instructors do not seem to be very experienced and they teach a lot of the stuff in a very “unique” way. It was a beginners class so I do not know if the advanced classes get any better. This class was more crowded than the Wednesday one. Didn’t mention on their site that you had to bring hand wraps or gloves. Paid $13 for some, which was fine, but just wanted to let others know you need gear.